Please register here for your overall entry. You will be able to select categories, input project details and pay the entry fees by following the instructions. As a leader in the field of educational facilities, the West Australian Chapter of Learning Environments Australasia invites you to make submissions for its 2018 West Australian Chapter Outstanding Educational Facilities Awards. These Awards are open to Learning Environments Australasia members - planners, school principals, bursars, consultant architectural firms or construction management firms – whose educational facilities’ projects demonstrate effectiveness in planning, design and construction of educational facilities within West Australia. Learning Environments Australasia aims to raise the standard of educational planning and design, with a focus on educational outcomes, as it applies to all educational facilities across the West Australia. Award winners will have their entry fee paid to the next Learning Environments Regional Awards and all state chapter award entries for 2018 will be able to be copied easily to the Regional Awards round in 2019. Category 1: New Construction / Entire New Educational Facility. This category applies to construction of an entire new school or educational institution. Must have been occupied at least 6 months prior to lodging the awards application (i.e. occupied from the start of Term 1, 2018) and construction completed within the last 3 years. Category 2: New Construction / New Individual Facility Over $8m. This category applies to a new building in an existing school or campus. Must have been occupied at least 6 months prior to lodging the awards application (i.e. occupied from the start of Term 1, 2018) and construction completed within the last 3 years. Category 3: New Construction / New Individual Facility Under $8m. This category applies to a new building in an existing school or campus. Must have been occupied at least 6 months prior to lodging the awards application (i.e. occupied from the start of Term 1, 2018) and construction completed within the last 3 years. Category 4: Renovation / Modernisation Over $2m. Must have been occupied at least 6 months prior to lodging the awards application (i.e. occupied from the start of Term 1, 2018) and construction completed within the last 3 years. Category 5: Renovation / Modernisation Under $2m. Must have been occupied at least 6 months prior to lodging the awards application (ie.i.e. occupied from the start of Term 1, 2018) and construction completed within the last 3 years. Category 6: An Innovative Education Initiative. Education Initiative must have been delivered to students for at least 6 months prior to lodging the awards application (i.e. curriculum delivered from the start of Term 1, 2018). Designed to showcase significant contributions to learning environments by schools, educators, students, designers, community organisations etc. Category 7: Landscaping/Outdoor Learning Area. 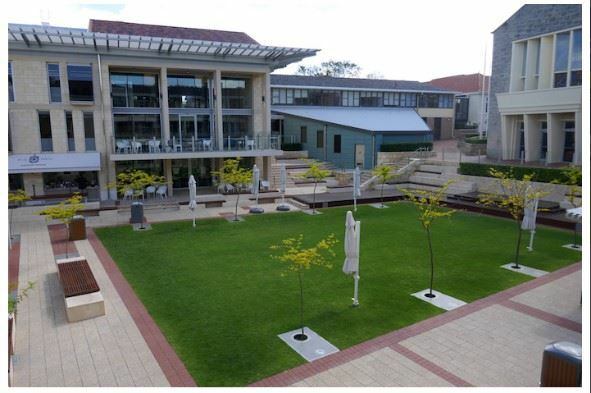 Designed to showcase outdoor learning environments targeted to improving educational outcomes. Must have been occupied at least 6 months prior to lodging the awards application (i.e. occupied from the start of Term 1, 2018) and construction completed within the last 3 years. Project types can include any educational facility from Early years through to Tertiary. The project(s) being recognised will best demonstrate the comprehensive effectiveness of planning, design, and construction as outlined in the criteria section of the attached Entry Requirements. Entry will be via an online form only. The fee for each project entered will be $270 + GST. Projects withdrawn between registration and submission closing will receive a 50% refund only. No refund will be available after the submission closing date. Note that all state chapter award entries for 2018 will be able to be copied easily to the Regional Awards round in 2019. Step 2 - Submission: Submit your project(s) via the Award Force Portal - log-in information will be sent to registered members (Submissions will be accepted between 10 September and 19 October 2018).